Galleries, fashion houses, and big brands are all lining up to work with the self-taught Russian. In a matter of just a few years, a 27-year-old artist from the town of Korolyov in the Moscow Region has become a star of modern calligraphy. 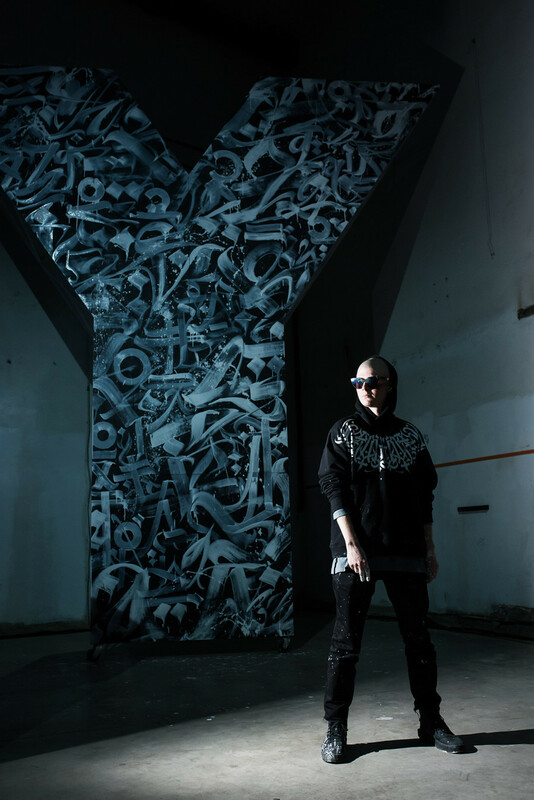 Arseny Pyzhenkov (better known under the pseudonym Pokras Lampas) already has dozens of solo and group exhibitions in Western galleries under his belt, as well as collaborations with the world's leading fashion houses - he’s also given many lectures, master classes, and performances. Pokras Lampas is a self-taught artist and has no academic education. After school he entered an economics college but soon left and continued his education in an advertising department at university. However, when he was in his last year there, Lampas abandoned his studies, moved to St. Petersburg, and decided to concentrate entirely on his work. By then he already had his first exhibition and private orders in Russia and abroad. 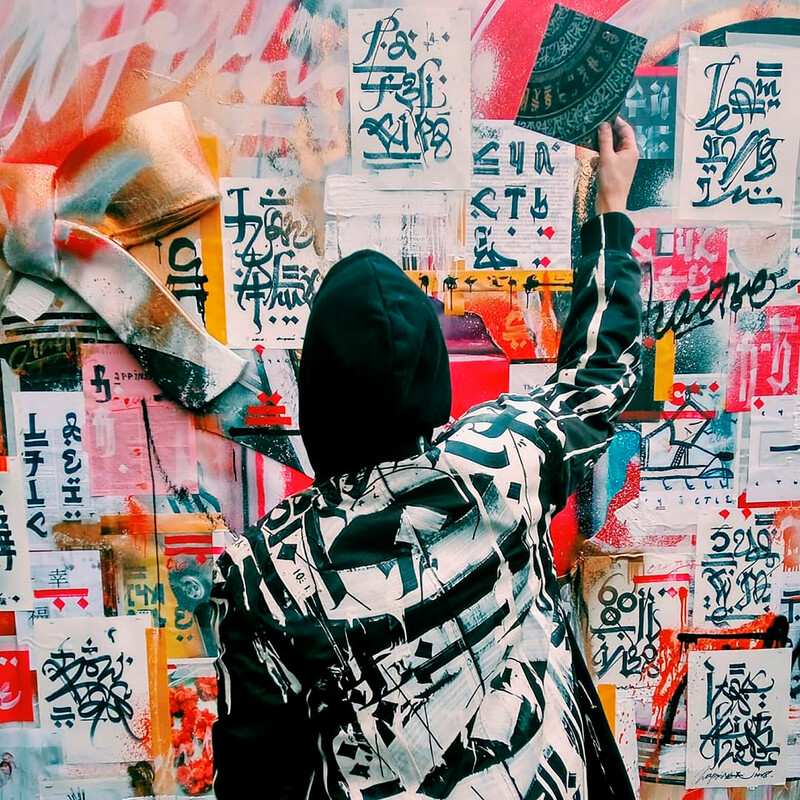 He started doing calligraphy while in his final years at school, when he became interested in street art. It was then that the young artist came up with the idea of combining graffiti and Gothic letters in a single image. He developed his ideas about calligraphy by studying the works of his older colleagues: Andrey Ante, Niels Shoe Meulman, and Luca Barcellona. "All our traditional institutes, unfortunately, operate under an old model whereby practice and work with material are crowded out by huge amounts of superfluous information. If you want to become a success, you need to find your own path, try and come up with something that will make you different from the others, and work every day to hone your skill," Lampas told Russia Beyond. Most of the artist's work features the Cyrillic script. He says the interest in his art is growing all the time - so he believes it’s important to present it to the world in a new way. 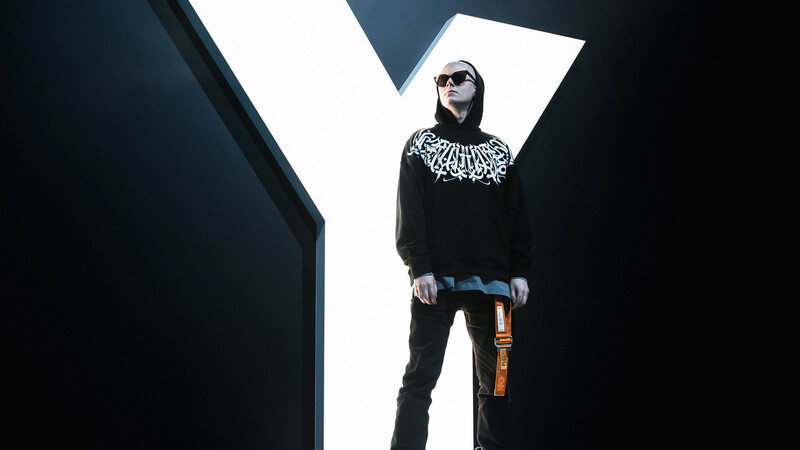 "The ubiquitous fascination with the Cyrillic script - from Denis Simachev to Gosha Rubchinskiy - is due to the fact that it’s a stranger and angular font. We are clearly witnessing a revival of the 1990s, of the rave culture, so the fonts must be deliberately ragged, irregular, and rather odd. For the European eye, this is what the Cyrillic script looks like. That said, the Cyrillic and the Latin scripts have a lot of common graphemes, so I would not say they are complete opposites." Today, the artist’s portfolio includes both large-scale cultural projects and exhibition series. The latter consist of five to 20 canvases up to two meters high. "I work with a large network of galleries, Opera Gallery, which gives me an opportunity to participate in group and solo exhibitions around the world. 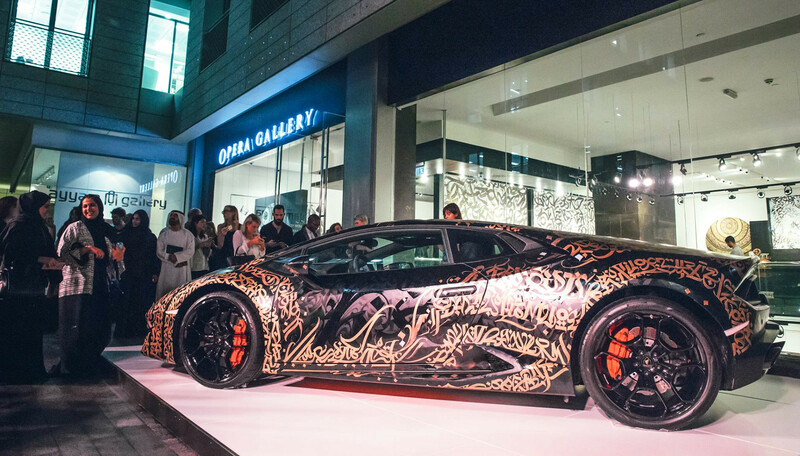 For example, at the Art Central art fair in Dubai in 2016, I presented my first art car - a black Lamborghini painted with gold letters - and a performance in collaboration with Ralph Lauren." This is not his only experience of working with fashion houses. 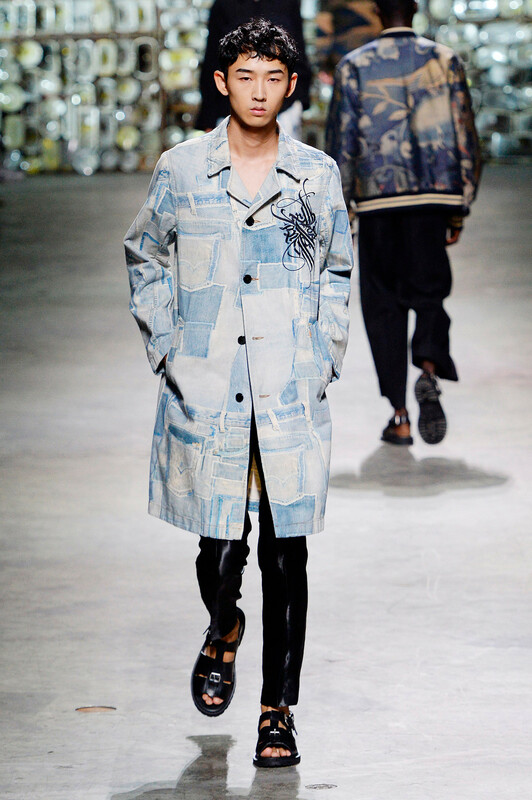 For example, for the Dries van Noten Spring-Summer 2017 menswear collection, the artist designed a special series of prints, and for the presentation of an Yves Saint Laurent perfume collection, as the ambassador of the brand he put on a theatrical performance. He painted a five meter-tall “Y” in his trademark font. 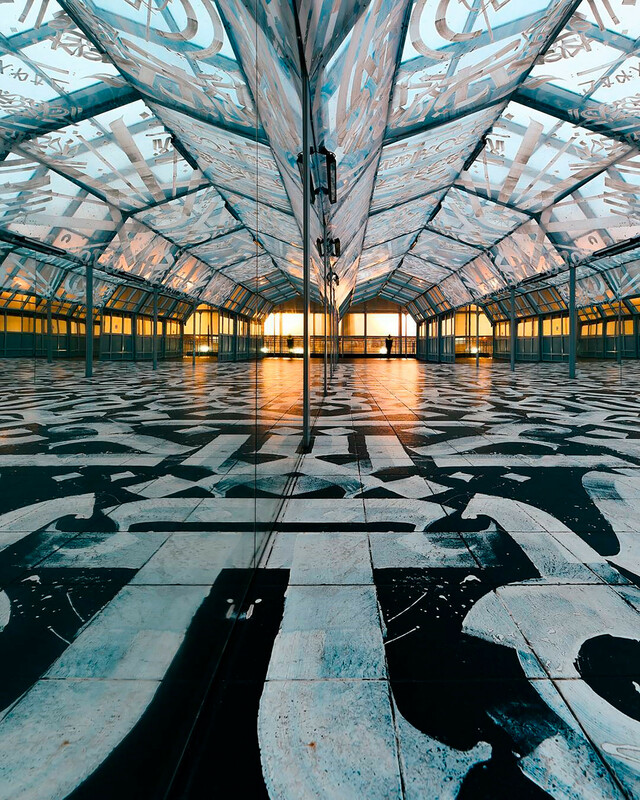 Finally, last year the artist created the world's largest calligraphy artwork for the fashion house Fendi: It covered an area of 1,200 square meters on the rooftop of the company's headquarters in Rome’s Palace of Italian Civilization. This year, Lampas plans to focus on working in Russia. "I have thought of many large-scale projects for Moscow and St. Petersburg, and not only in galleries. For example, one of the works will appear in the tunnel that links the Kursky railway station and the Atrium shopping mall in Moscow. I consider this project one of the most interesting ones because it’s inspired by Soviet avant-garde art, there will be many quotes from Russian avant-garde artists like Kandinsky, Malevich, and Rodchenko."